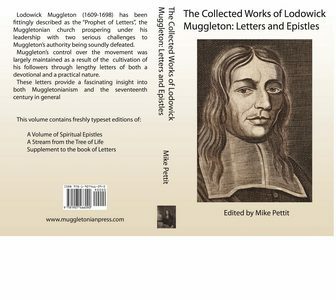 Lodowick Muggleton (1609-1698) has been fittingly described as the "Prophet of Letters", the Muggletonian church prospering under his leadership with two serious challenges to Muggleton's authority being soundly defeated. 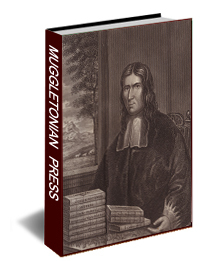 Muggleton's control over the movement was largely maintained as a result of the cultivation of his followers through lengthy letters of both a devotional and a practical nature. These letters provide a fascinating insight into both Muggletonianism and the seventeenth century in general This volume contains freshly typeset editions of: "A Volume of Spiritual Epistles", "A Stream from the Tree of Life" and "Supplement to the book of Letters"